A future proof in-flight menu solution that reduces impact on time and resources. Streamlining of all the activities involved, including data management, copywriting, design, print and fulfilment. A solution that reduces wastage with guaranteed delivery to the Virgin Atlantic fleet – no fail. Menu creation for Virgin Atlantic was traditionally a manual process, taking 6 weeks from initial drafting to final sign off. With over 11 caterers, various suppliers and numerous airline people involved the entire process was extremely complex and time consuming. The approach was both challenging and inefficient, generating wastage in production and resources, with very little flexibility within the timescales for accommodating last minute changes. Having analysed the full requirements and understood the challenges we scoped a completely bespoke solution that combined our MarketSMART software with a number of ESP Group services. Our approach sought to streamline the process of producing printed menus, and accompanying food preparation and allergen guides. ESP were selected over a number of companies competing for the business. An in-depth analysis of the existing approach and processes highlighted a number of issues in key areas, including production delays, over-stocking and sustainability being compromised. Our main challenge was to overcome these and devise a solution that would enable all the separate elements of the menu production process to work seamlessly together. Our methodology involved a detailed feasibility study that evaluated flight scheduling, production, personnel and logistics . Our dynamic approach optimises the entire menu production cycle, automating artwork creation and providing Virgin Atlantic with their own web interface to review, edit and approve menus online ahead of printing, fulfilment and despatch to airports. 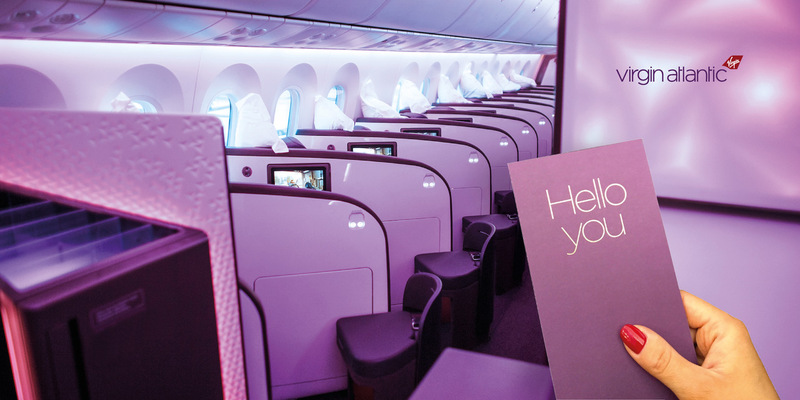 We have reduced the impact on time and resources massively, cut wastage to almost zero and provided Virgin Atlantic with an entirely sustainable, future proof in-flight menu solution.